This might be trivial but since I do not find an example on the Github page, I would like to give a sample implementation. # Public: Retrieves Twitter User IDs for the followers. # Returns Array of Twitter User IDs. # Public: Retrieves Twitter Users the user is following. # Returns Array of Twitter::User. This example shows you how to use Twitter::Cursor and with Twitter API, you can only get 100 user information at a time (that’s why I have each_slice(100) ). Click here to find out more about Twitter gem. This weekend I was trying to do a fresh install of Mountain Lion. 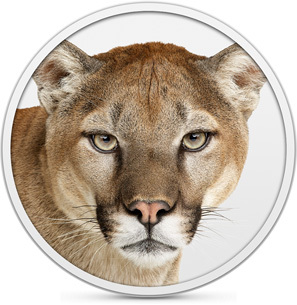 This link provides you instructions on how to create a bootable Mountain Lion install disk. If you are going to burn a DVD, you need to make sure you use DVD-DL as normal Mountain Lion won’t fit in the 4.3G DVD. 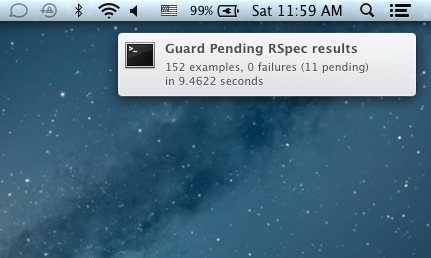 The autodetected CC(/usr/bin/gcc-4.2) is LLVM based, it is not yet fully supported by ruby and gems, please read `rvm requirements`, and set CC=/path/to/gcc . You need to install homebrew if you haven’t. I highly recommend you install homebrew as it just makes installing Unix tools so much easier.